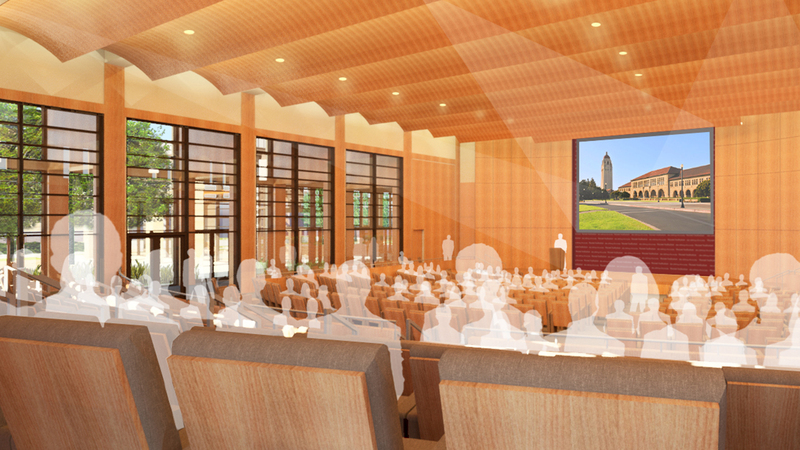 Over the last several decades, the Hoover Institution has experienced significant growth in size, scope and influence. 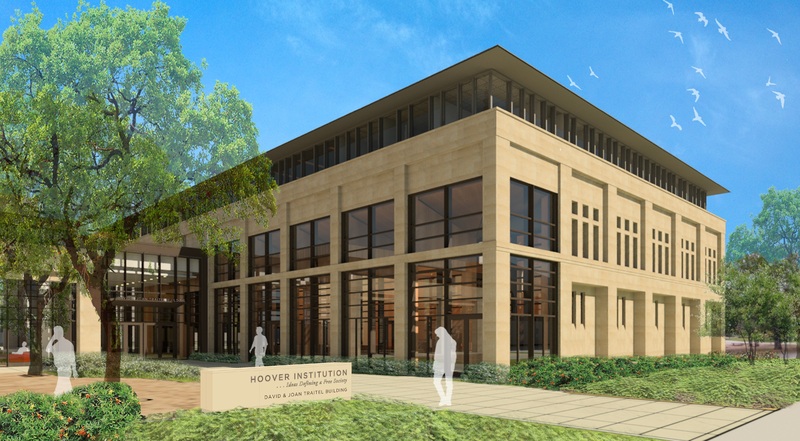 As a consequence, Hoover requires additional space to house its scholars and administrators, and to convene policy conferences and workshops. 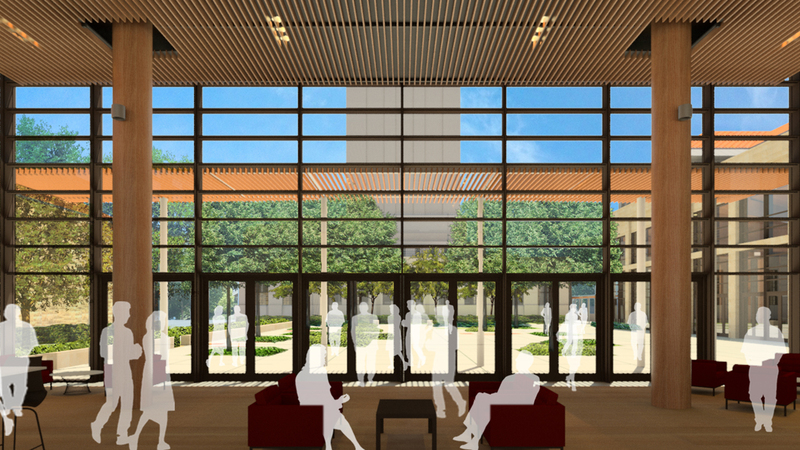 The two-story, 55,000 gsf David and Joan Traitel Building will add new capacity in both offices and conferencing facilities in order to meet this demand for policy-oriented research and dissemination. 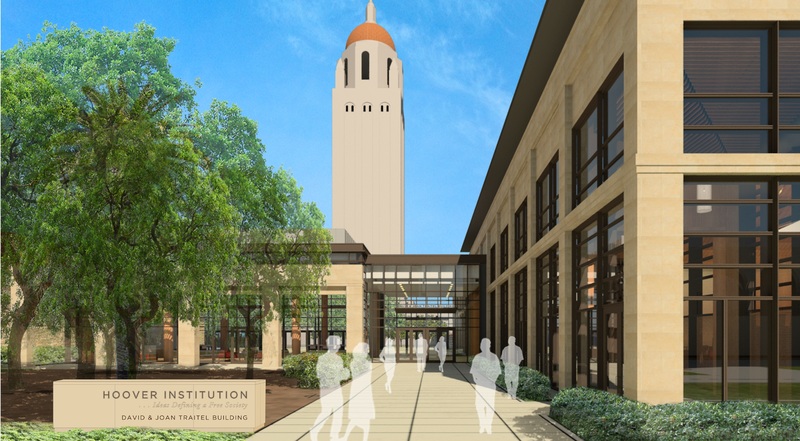 The top floor will house the administrative headquarters of the Hoover Institution. 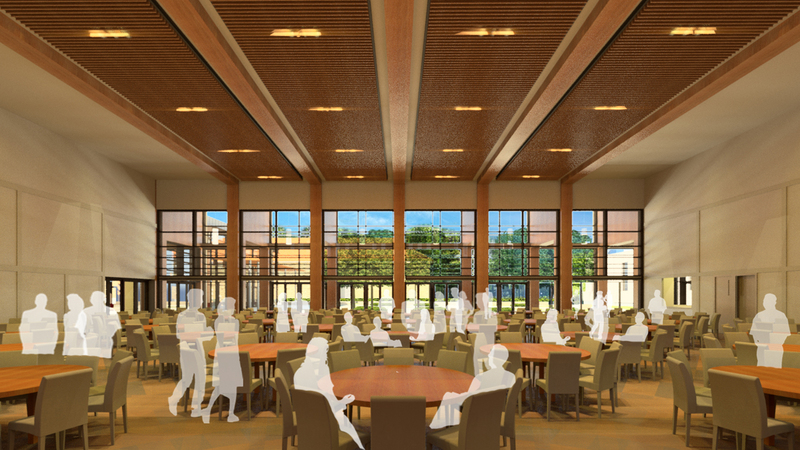 The ground floor will be a major conferencing center, featuring the 400-seat Hauck Auditorium, named in honor of Everett “Sparky” Hauck and his wife, Jane, and Blount Hall, a dining-multipurpose room for 440, named in honor of Bill Blount. 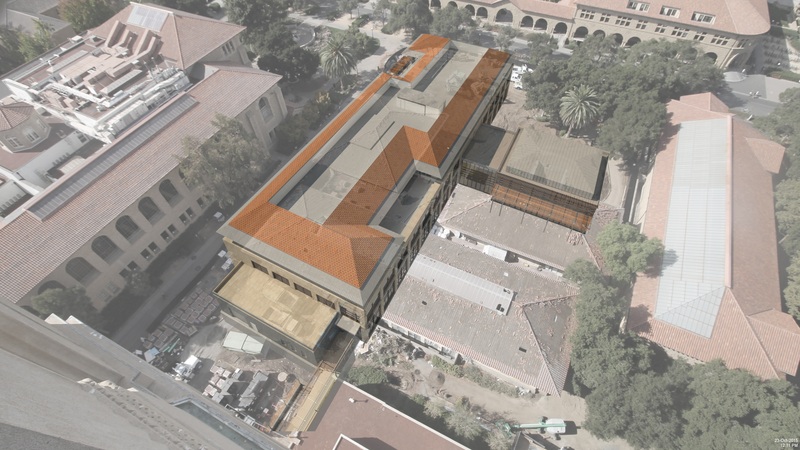 Guests will be welcomed through a transparent, glass pavilion that will look out on the Hoover Tower and lead to a semi-private courtyard named in honor of Art Hall and his wife, Joanne. 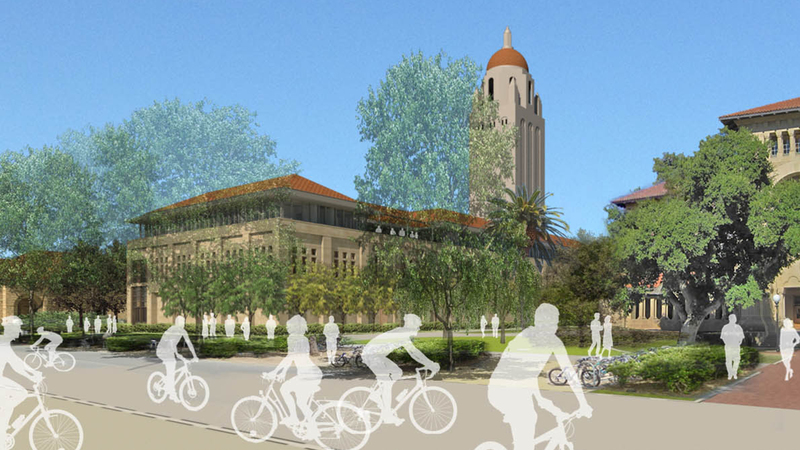 An arcade will be constructed along Crothers Way to connect the new facility to the existing Hoover buildings. Designed by William Rawn Associates of Boston with help from Cody Anderson Wasney of Palo Alto, the new building is expected to open in the summer of 2017.